Get your summer jump-started with a creative jolt! 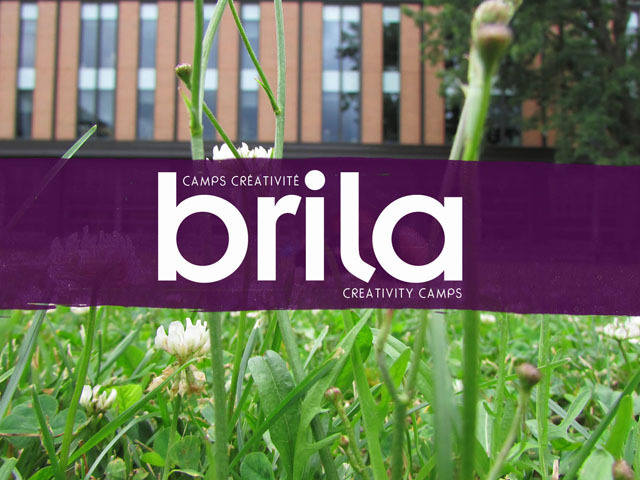 Brila's summer camps are unique imaginative thinking labs for curious, creative kids aged five and up. Inspired by their own philosophical dialogues, participants take on a flurry of projects, from drawing and photography to multimedia and inventive design, energized by facilitators and special guests who are practicing professionals. Each day's creative outbursts set the stage for participants to produce their very own zines and get published in one of our digital magazines. If you've got original, quirky and caring brains, these camps are for you! This year's summer camps will once again be part of ongoing research studies so space will be limited. The sessions will last two weeks but the program style will stay the same! If you would like to be on the waiting list, please fill out the information form. Please note that all our bursaries have been awarded for this year's camp season. We will welcome applications again next year! Brila uses the internationally recognized, UNESCO-endorsed Philosophy for Children educational model to foster critical, creative & caring thinking skills in young people, and is an IAPC affiliate centre. Brila is a registered Canadian charity based in Montreal, Quebec, offering youth-driven, bilingual educational programming that fuses philosophical dialogue, creative projects and digital magazine production. At our camps, youth take part in daily creative challenges that uncover their sense of curiosity, imagination and social responsibility in a supportive, exciting atmosphere. Our camps take place on the beautiful campuses of Université de Montréal and Concordia University (Loyola)—see the map below! who can participate in our camps? Any and all kids aged 5 to 11, who have big hearts, bold thoughts and spirited imaginations! Youth aged 12 and up can also participate as volunteer facilitators through our leadership training. The camp is divided into junior and senior groups. Both anglophone and francophone youth are welcome. No previous experience necessary. Spaces are limited so register now! what is our camp schedule? Each camp's two-week schedule is jam-packed with innovative workshops that boost creativity by blending creative projects with intriguing thought experiments, engaging group dialogues and inspiring special guest visits. Official camp programming runs from 9 a.m. to 4 p.m., but we also provide activities during drop-off hours (8:30-9 a.m.) and pick-up hours (4-4:30 p.m.). Extended care is also available for an additional fee. Lunch and free time is from noon to 1:30 p.m., plus a daily active movement break that varies from yoga and dance to circus and martial arts. Some of our camp activities take us off campus to local parks and city attractions. Participants are expected to attend all workshops throughout the week—since activities build on each other, absences are highly discouraged! what should participants bring with them? Participants should wear comfortable clothing suited to the day's weather, and keep a water bottle and sunscreen on them at all times. Participants should also bring their own healthy lunches and snacks—please avoid any nuts in case of allergies. On special theme days, we may invite them to wear costumes to camp! Brila is not responsible for any lost, stolen or missing items: though we will try our utmost to keep personal belongings safe, we strongly recommend that new, expensive or favourite items be left at home. who are the facilitators and special guests? Brila is propelled and energized by its dedicated facilitation team of creative experts. Our senior facilitators are seasoned educators with 50 combined years of experience as well as graduate degrees in philosophy and pedagogy. They are also endorsed practitioners of the Philosophy for Children pedagogical model. (Meet the senior staff!) Our special guests are practicing professionals who love to infuse kids with their passion for creativity. To ensure everyone's well-being, our team are first aid certified by the Heart and Stroke Foundation, undergo an official police background check with the SPVM, adhere to our charity code of conduct and have references checked prior to joining our team. what are the zines and the digital magazine all about? In addition to boosting their creativity through original projects and group dialogues, participants will be producing their very own philosophical zines—and contributing to one of our digital magazines—as storytellers, illustrators, photographers, multimedia artists, designers and more. They'll not only leave with their own original publication, but also a strong sense of responsibility about what they say, how they communicate it and who is affected by it! Check out our zines. Indeed! As a charity, Brila prides itself on offering cost-effective programming that is eco-friendly and resource-savvy so access is never a problem. We have bursaries available, thanks to generous funding from the Excellence in Literacy Foundation. Bursary funds are distributed on the basis of financial need and granted to those who would be unable to attend camp without financial assistance. Applications are assessed in the order they are received and recipients are notified in May. To apply, please complete and email the form. By all means, get in touch with us! You can reach us by phone at 438.338.5956 or by email at info@brila.org. Plus, prior to camp, all participants will receive an information letter and a welcome call from one of Brila's staff members. Brila was a once in a lifetime experience that I will never forget. The workshop has changed my outlook on life and instilled new light on my hobby, photography. I truly believe that your organization is unique. You introduce children to a more human type of reflective thinking. By addressing issues like freedom, discrimination and animal treatment, you help us as parents to educate better human beings. Learning to ask questions and to explore many answers is invaluable. It was good for me as a parent to be reminded to let my daughter figure out what she thinks for herself. I think your organization's approach is unique and fresh, and offers a critical aspect of life learning that is often missing in the conventional school curriculum. Please note that all our bursaries have been awarded for the this camp season. We will welcome applications again next year! joining our team of fun, kooky "purple people" who take their work seriously but not themselves! Junior facilitators must have previous experience at Brila in order to apply and must take part in a training session. They will receive a certificate of completion after their mentorship. For application details, please contact us! Our teen leadership training is a highly concentrated dose of creative pep! Over nine days, participants get the opportunity to hone their skills as youth leaders, experimenting with novel ideas and creative forms alongside seasoned educators and practicing professionals in the fields of writing, photography, illustration and new media. Through multifaceted projects inspired by the social issues that resonate with them most, they get to collaborate with other young adults who share their energy, vision and artistry, while shaping each other into community leaders and role models for kids. This training cultivates leadership skills relevant across fields, motivating new hobbies and career paths, and building a real sense of initiative. This year, our summer camps will once again be part of ongoing research studies so space will be limited. The sessions will last two weeks but the program style will stay the same! If you are interested in having your child participate (or would like to be on the waiting list, please click the button to fill the information form. We will then contact you with registration availability according to your child's age and language preferences. Please note that specials cannot be combined. Participants must pay the camp fees to reserve their spot. Registration can be cancelled with a 50% refund up to 21 days before the first day of camp. Cancellations requested after this date will not be refunded. If extenuating circumstances present themselves (e.g., a health or family emergency), please get in touch with us directly. If you have any questions, please contact us! To pay online, please complete the registration form. You will then be directed to pay securely by credit card or bank transfer via PayPal. Our first camp session will take place on the campus of Université de Montréal. Our second camp session will take place on Concordia University's Loyola Campus.